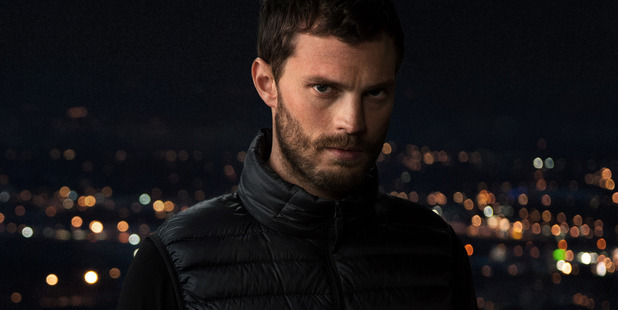 JAMIE Dornan has been voted the Hottest Hunk of 2015. The Fifty Shades of Grey hunk has ousted last year's top spot holder Zac Efron into second place after climbing from eighth in 2014 in Heat magazine's annual poll of the sexiest men alive, while One Direction hunk Harry Styles moved up 11 places into third. Rounding out the top five were Spanish model Diego Barrueco and McBusted drummer Harry Judd, in fourth and fifth place respectively. Speaking of the survey results, which saw more than 195,000 people cast their votes, Heat editor Lucie Cave said: "So many hot men, so little time. That's why we asked the readers of Heat magazine to name and rate the 100 hottest men alive. They've done us proud - and now we can all drool over the sexiest men in the world, all in one place." The top 10 was rounded out by three new entries, actor-and-singer Tyler Blackburn, Sons of Anarchy star Charlie Hunnam and UK X Factor hopeful Jay James. Leonardo DiCaprio was a surprise omission from the top 101, having been voted in fifth place last year, while Take That's Gary Barlow, actors Henry Cavill and Bradley Cooper, and diver Tom Daley all lost their places in the top 10. As well as the Wolf of Wall Street star, Ryan Gosling and Benedict Cumberbatch also experienced big falls in their placing this year. Place Beyond the Pines star Ryan slipped from 9th to 44th, and Sherlock actor Benedict dropped 60 places to 94th. The full list of heat's 101 Hottest Hunks can be found in heat magazine.